It is estimated that more than 1,000 people have been killed in CAR since Dec. 5. Bodies are being delivered to mosques and morgues while some are buried in family courtyards and cemeteries. 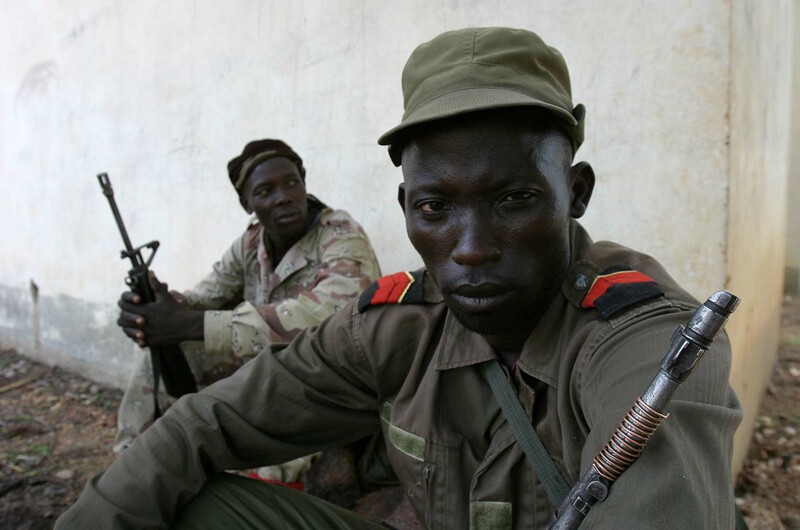 In early December, ex-Seleka and anti-balaka militias attacked the civilian population of the Central African Republic (CAR). The two groups broke down doors, travelling house to house and killing mostly men, according to Amnesty International. The violence usually occurred at night. The de facto government forces, known as ex-Seleka, are composed mostly of Muslims who are targeting the country’s Christian population. The armed opposition forces known as anti-balaka are groups of Christian militias participating in the violent attacks, along with local civilians. The Seleka coalition of militias, led by Michel Djotodia, overthrew former president François Bozizé and installed Djotodia to power in March 2013. Djotodia’s presidency lasted just eight months, as violence continued throughout his rule. Amnesty International reported that the Seleka coalition and other armed groups are committing human rights violations across CAR. Although Djotodia attempted to formally dissolve the coalition in September 2013, many groups refused to disarm — and human rights violations and abuses continued. The rule of Djotodia is thought to have given rise to high levels of hostility among ex-Seleka and anti-balaka groups. Ex-seleka forces attribute the perpetuated abuse of Muslims in the country to the anti-balaka groups as a whole, while the anti-balaka associate abuses of Christians with ex-Seleka. With easy access to weaponry in CAR, civilians have joined the ongoing hostility and violence between both groups. On Jan. 14, the United Nations released a report describing the human rights situation in CAR as “extremely volatile.” The UN reported that the abuse being committed by ex-Seleka and anti-balaka forces included extrajudicial killings, sexual violence, mutilations, and enforced disappearances. Nearly one million citizens have been displaced from their homes. There is debate over whether or not the current crisis in CAR constitutes genocide. Some officials recognize that the situation in CAR contains all the right ingredients for genocide to occur. Others believe that the conflict is not widespread or destructive enough to be labelled such a word. There is fear CAR is slipping into sectarian genocide. However, the distinction between CAR’s current situation being a humanitarian crisis or genocide is contested. “The greatest concern about the situation in CAR is the way that rhetoric from community leaders has really escalated into this dehumanizing of the other in the conflict,” Milner says. A shift in the CAR crisis occurred when President Michel Djotodia resigned on Jan. 10. The president’s resignation has brought both fear and hope for the country’s future. Many worry that the resignation will spark another cycle of attacks against the Muslim and Christian populations. Milner believes that awareness of the CAR crisis will keep the country from slipping into genocide. “I think there’s a lot to be done,” he says. “One, by keeping it in the headlines. Two, by supporting regional actors. And third, by providing technical expertise in terms of mediation and support for a peacekeeping troop that would be necessary to maintain whatever peace comes out of the current dialogue,” Milner says. Currently, French troops are stationed in CAR. Chad and South Africa have also deployed troops to the country. According to Amnesty International, there is an urgent need for peacekeeping troops, especially after Djotodia’s resignation.